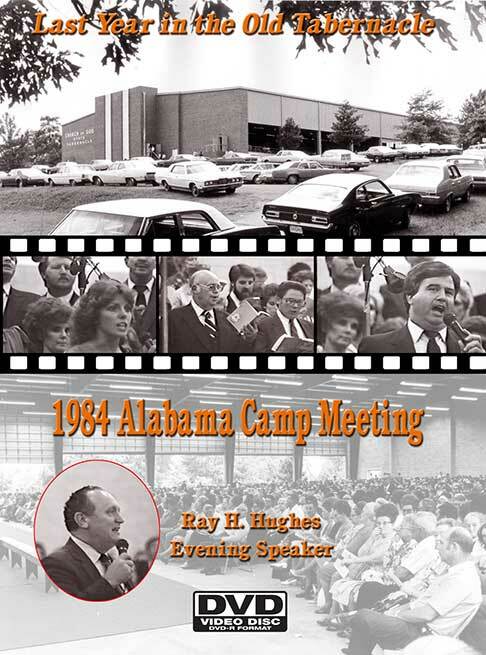 The complete set of all the night services from the 1984 Camp Meeting. Ray H. Hughes was the night speaker. This was the last camp meeting on “Glory Hill.” Seven DVD-R disc. These are the complete services including music and preaching. Thursday night, there was no preaching due to a move of the Holy Spirit and you’ll see lots of familiar faces as the camera pans the crowd under the big tabernacle.